The human world has been QUITE the place to be this week, with the borders between the magical and mortal realms becoming blurred! Right at the end of February, we discovered that we are receiving royal recognition for our charity, in the form of the Duke of York Community Initiative Award! This is a fabulous award that recognises the work that we do in and with our local community. According to their website, the schemes that receive the awards are “of real value to the community, well run and an inspiration to others”. We are so grateful to receive this, and we thank the Duke of York and his Community Initiative award team; our staff and volunteers; children, families and community. Thank you! 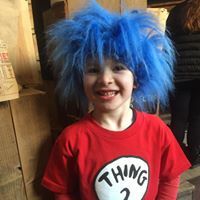 We celebrated in style, with amazing cakes, mortals dressed in all sorts of disguises, a tricky scavenger hunt, goodies galore on our Grimm tombola, and one of our wizards even took the time to draw some customers too! The icing on the cake was being able to gift SIGNED copies of Everdark (by patron, Abi Elphinstone) to children who came in to visit. Many thanks to all who came to celebrate with us. Watch out for something BIG happening on our 4th Unbirthday next year! The third bit of extra magic took place on Friday 8th March, when Grimm & Co were nominated in two categories at the Athena Awards at International Women’s Day. Grimm & Co was shortlisted for the Athena Organisational Leadership Award which rewards organisations that create a culture that encourages women employees to achieve their full leadership potential; gives back to the larger community of women and girls by providing and/or supporting leadership development opportunities and initiatives; and supports and develops women’s leadership initiatives on a local, national or international front. Our Founding Director, Deborah Bullivant was shortlisted for the Athena Leadership Award, recognising professional excellence, community service and for actively assisting women in their attainment of professional excellence and leadership skills. 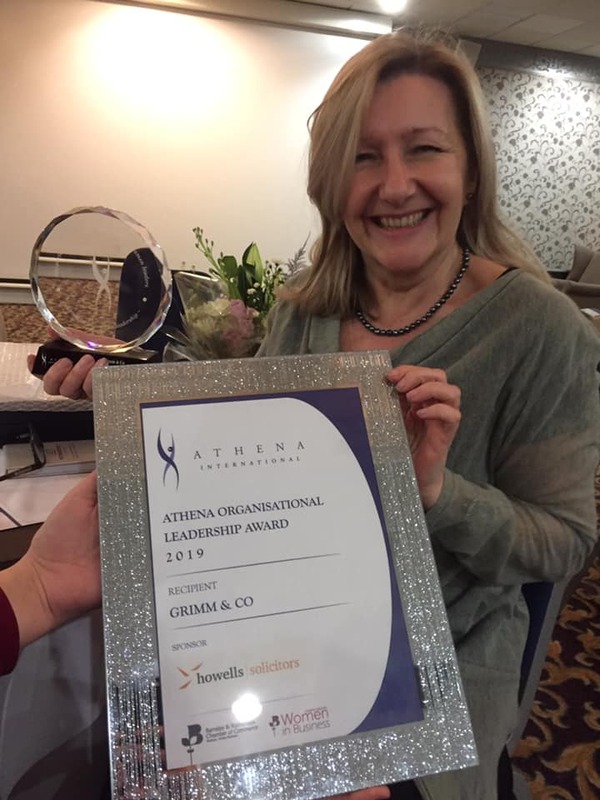 We were over the moon when our name was read out as the winner of the Athena Organisational Leadership Award. It means such a lot to be recognised in an arena such as this, and the award will be proudly displayed in our apothecary. The rest of March looks to be very busy too, as we welcome celebrated folk musicians Richard Dawson and James Ewan Tait on 15th March, and take part in the launch of the I Know, I Wish, I Will project on Thursday 21st March! News on these events to follow.